When parents and children ply the same trade, benefits and challenges come with the territory. Sarah Shearman profiles a trio of pairs who bring out the best in one another as they navigate some tricky terrain. Father and son Harry and Cory Pforzheimer have an unwritten rule about not talking shop at home, particularly since they both work in the tech industry and their worlds often collide. "We don’t want to do anything that compromises our integrity," says Harry, who is a full-time consultant after leaving his post as CCO and VP at Symantec last year. 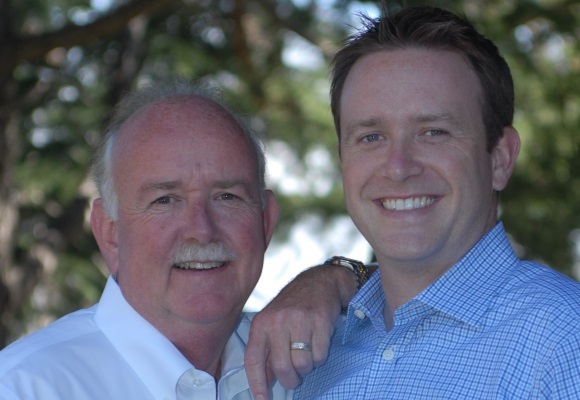 Despite being careful to not divulge too many details about their work, Cory, a director of communications for HP Software, explains that his father has been "more of a mentor to him than he could ever know." Cory notes that he has been able to depend on his father’s advice when forging his own career path. In fact, he adds, Harry’s position as a well-known and respected name in the industry has proved to be beneficial to him. "When I graduated school, it was at the bottom of the crash and no one was hiring," recalls the younger Pforzheimer, "but he introduced me to people and I was able to get my first internship." While Harry opened a few doors for his son, he made sure the buck stopped there. deal of pride in that," explains Harry. "I wanted to create for Cory an opportunity to be successful and live for himself, not me." Harry also made an effort to not call in favors. "I’m very proud of what my son has done on his own," says the elder Pforzheimer. Cory, who previously worked at Yahoo, started to take an interest in his father’s work when he was 6 and saw him on TV. At the time, Harry was head of global communications at StorageTek. "It always seemed like my dad was doing something cool," explains Cory. As a kid, he enjoyed perks as a result of Harry’s job, tickets to sporting events and film premieres among them. Growing up in Silicon Valley, Cory was always interested in technology. Coupled with his love for writing and communications, he seemed destined for a career in PR. 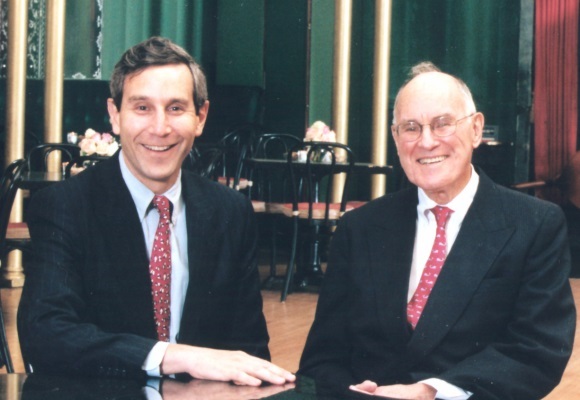 The Pforzheimers’ career paths briefly crossed when Cory was at Ruder Finn’s San Francisco office a decade ago and his father was brought in to work on a project for a few months. In fact, most people Cory now collaborates with have worked with, or for, Harry at some stage. "He has an amazing reputation," Cory says of his dad. "It’s probably not possible to fill those shoes from a career perspective. I’ve so much to learn, but you always hope to be as good as your parents." Harry sees it differently. "Cory will fill them," he asserts. "He is far smarter and works harder than me. And he is almost better looking." Margie Fox and Rob Longert describe themselves as a "non-traditional, traditional American family." But it is their "cobbled together family" – as the latter puts it – that helps them stay ahead. Fox, who joined DeVries Global in June as its first global creative director, married Longert’s father when Rob was 13. "She was lucky enough to see me in my awkward Bar Mitzvah phase," jokes Longert, managing partner of Day One Agency. The two are so close, they prefer to avoid words "step" or "half" when describing their family, which spans across a range of generations from baby boomers to Gen Z. "We have some interesting people at the dinner table. It helps us stay relevant," says Longert. "We hear news from different worlds." When younger, Longert recalls Fox always asking him what he was into. It provided a key PR lesson. "She taught me to really know what is going on around me," he says. In launching Day One, Longert followed in Fox’s entrepreneurial footsteps. She opened Maloney & Fox, now folded into Waggener Edstrom, in 1997. He says his mom taught him, among many things, the importance of the small touches, such as sending handwritten notes. This career support goes both ways. Fox says her son’s expertise in digital has enabled her to stay ahead of all the changes in the industry. "He helped me be much more comfortable with the new ways of doing business," she says. "I learn much more from Rob on a daily basis than he learns from me." Having different surnames means people in the industry do not always realize the two are related. "When people do find out, they love it because both of us have positive reputations," says Fox. Inasmuch as both work on the agency side, Fox and Longert do occasionally compete for business. For example, the former’s client Brooks moved to the latter’s previous firm M Booth in late 2012. However, they draw a line here, both for legal reasons and the sake of their relationship. And they have a rule – the winner buys the other a consolatory dinner. "I know we will come up against each other," admits Fox. "I love Rob, but my plan would be to crush him." At some point, though, Fox sees the two working together. Longert interned at her firm while in the 12th grade and she expects to do the same. "I plan to work until I’m 94," she says, "so Rob will have to take me on as a paid intern." 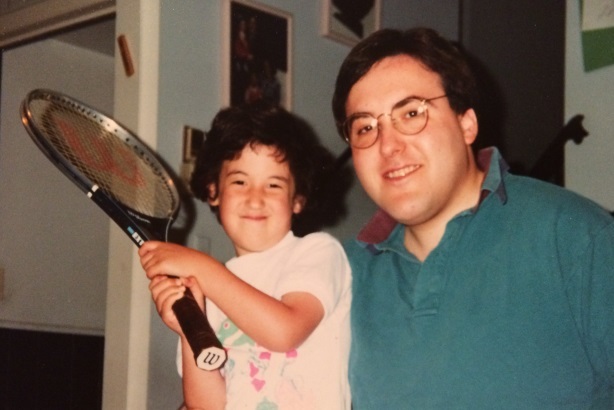 Back in middle school, Ariella Steinreich’s father Stan had her write press releases on household items that he would review. "Writing is an industry pillar," she asserts. "That was drilled into me as a kid." Ariella, a senior associate at Burson-Marsteller, wanted to be in PR since first grade. 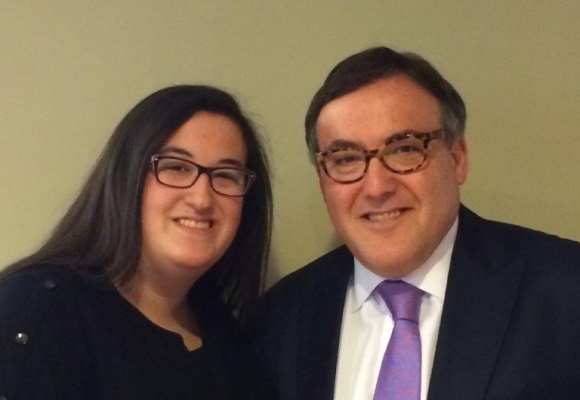 That desire grew with the opportunity to intern for her father, president and CEO of Steinreich Communications, when she was in high school. "I was so lucky to learn a lot of the basics growing up," she explains. The Steinreichs share a passion for media relations. On a recent family trip to Israel, they visited the AP bureau in Jerusalem. Ariella is proud of her father’s career, but is determined to pave her own way in PR and not be perceived as Stan Steinreich’s daughter. She concedes, though, journalists can sometimes "join the dots." Stan says he is "incredibly proud" of what Ariella has achieved in her career to date. "She sees the highs in the business – such as when you win a new account – and the lows, too, such as the long hours that are notoriously difficult on families." Ariella is the eldest of four children. One sister works in HR, but her brother plans to go into PR, while her youngest sister is considering a PR career. At the dinner table, though, work talk is reigned in out of respect for their mother, who is a social worker. Work-life balance is of utmost importance to Stan and he credits past stints at family oriented firms Edelman and FleishmanHillard with helping him truly appreciate that. It’s a philosophy he very much hopes to impart on his daughter. "We are helped today by greater tools," he says, "so we can do a much better job staying in touch." That said, he notes how much pressure PR pros are now under, due to today’s 24/7 news cycle. "It’s always a challenge to find work-life balance," he adds. "I have that concern for my kids. Hopefully, they learn to manage that, so they can have fulfilling careers and wonderful family lives." Richard Edelman sits in the unique position of being both a PR legend’s child and the father of PR pros who can make the same claim. 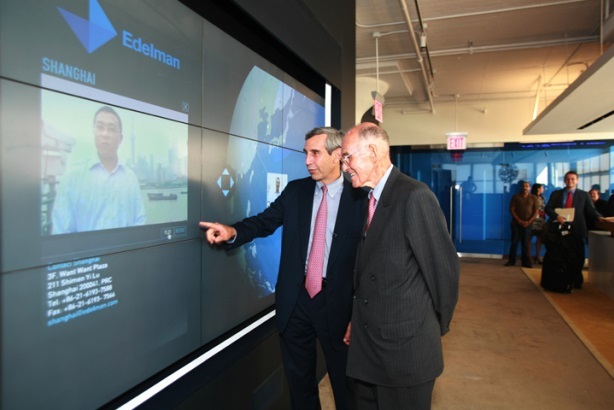 Richard Edelman says his late father Dan had very firm values that have stuck with him, including excellent client service, creativity, and a fearlessness to try something and fail. "He would always ask to see the work first, not the numbers," notes Edelman. "I do the same." That was just one factor that helped cement Dan Edelman as an industry legend. Richard admits feeling the weight of that reputation as he runs the world’s largest PR firm that bears the family name. "My father has a [Chicago] street named after him, so, yes, I always felt pressure," says Edelman. "It was probably the reason I moved to New York." Creating his own persona in the industry has always been of the utmost importance to Richard. Early on in his tenure as CEO, he made the decision to exit the tobacco industry – a move his father disagreed with at the time. Introducing the Trust Barometer was another key initiative where the son struck out on his own. "It took about five years as CEO before I stopped being referred to as Dan’s son," he recalls. Richard had not always planned to work with his father. As he was finishing college in 1978, he had accepted a marketing post at Playtex and was set to tour the world for a couple of months. Dan, who was concerned about ad agency DDB’s approach about a potential acquisition, persuaded his son to work for him for a year after his travels. The trip was abandoned before it started, though, as he joined the business just days after finishing his exams. Father and son talked about the business every day. Even in Dan’s final days at the hospital, Richard would brief him on the company’s numbers. Richard now goes through the firm’s numbers with his daughters Margot and Tory, who have accompanied him on business trips. The former is a VP at Edelman Berland. Tory more recently joined the firm as an account executive on consumer brands. Youngest daughter Amanda is attending college. "I really try not to talk about business all the time with the kids, which is one thing my father did," he says. "At meals we talk about politics, what books we are reading, or movies we’ve seen." Edelman proudly notes the lessons his kids teach him. Tory has shown him the importance of social media, "which is a totally new way of thinking for me." Meanwhile, he is inspired by Margot’s research background and the rigor she brings to her analysis. 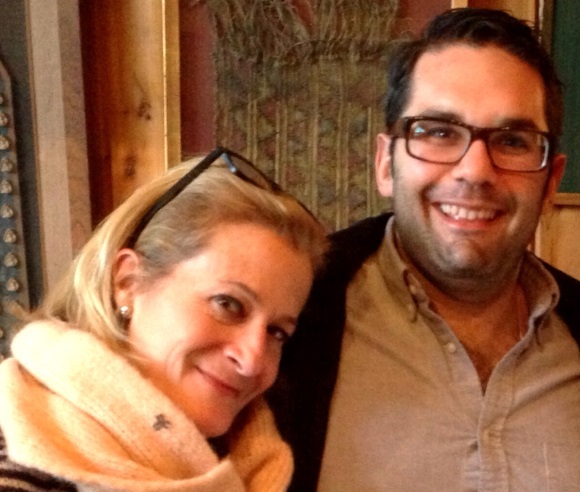 PR is definitely a family affair for the Edelmans. 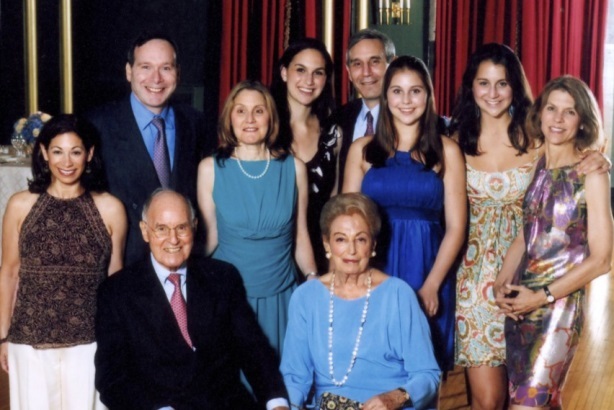 Richard’s late mother Ruth was deputy chairman at DJE Holdings, an adviser at the firm, and Dan’s most trusted confidante. Sister Renee and brother John both work at the agency, too. In fact, working with his family has been "the greatest joy," he reports. "I admired my dad growing up," adds Edelman. "He was a taskmaster, but I understood him better when I began to work with him. I hope my children feel the same way."